The contents of the PKI 9910 meet the basic requirements for securing evidence at the scene of crime. Each necessary part is packed in a rigid, handy case and provides the full scope of tools and materials for an immediate action at site. Beside this basic assortment, we can offer an advanced version. 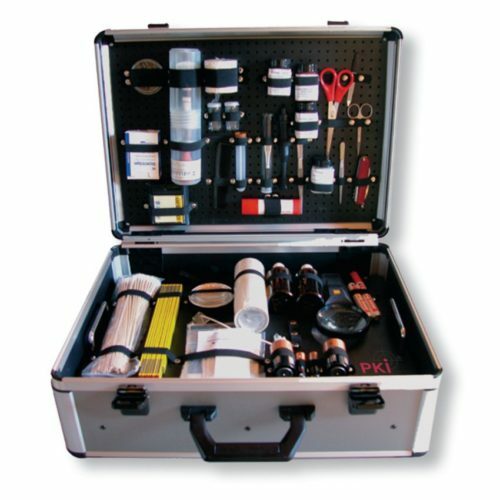 For this please see our PKI 9915 Advanced Scene of Crime Investigation Kit.